We carry top brands of CPAP Masks and CPAP Machines from such leading manufactures as Respironics, Fisher & Paykel, ResMed. We also stock a full inventory of CPAP supplies and CPAP accessories, such as CPAP Tubing, CPAP Filters, CPAP Cleaners, CPAP Nasal Cushions and CPAP Pillows. Funding assistance may be available to residents of Ontario with valid Health Card. If you have Work/Health Insurance Benefits you may get your new CPAP Mask and accessories every 6 – 12 months. We can help you to submit a health insurance claim for CPAP supplies. Need CPAP Therapy In Toronto? CPAP Therapy involves the use of a machine to treat breathing problems such as obstructive sleep apnea which can lead to serious health concerns and undermine a person’s quality of life. A CPAP machine works by blowing pressurized air into your airway making sure the throat doesn’t collapse or you don’t stop breathing at different times throughout the night. At PROFMed Healthcare Solutions, we offer the best quality CPAP machines in Toronto. We have highly experienced and skilled professionals to offer you advice on CPAP therapy and help you identify the best equipment to eliminate your sleep difficulties. Using any of our CPAP machines, you can eliminate the risk of heart disease and hypertension caused by sleep issues. At PROFMed Healthcare Solutions, we only offer the best CPAP products from well-known manufacturers such as ResMed, Respironics and Fisher&Paykel. 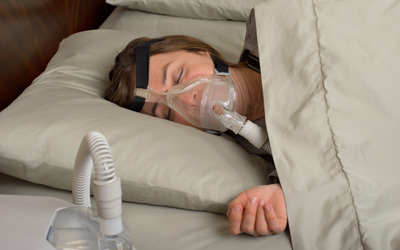 We provide the full range of CPAP equipment including masks, tubing, filters, pillows and nasal cushions. Whatever CPAP supplies you need, we will be happy to provide them. We have CPAP devices that are designed for the male and female consumers. We understand that men and women exhibit different characteristics and sleep issues and that’s why we’ve gathered devices that are designed for each group. Our collection consists of well-known brands and manufacturers. The machines are designed to deliver a complete therapy solution that is tailored for your needs and lifestyle. We’ll help you select the best CPAP device depending on your lifestyle and budget. An ideal CPAP mask should be comfortable, fit perfectly and not block your view. We have a wide range of CPAP masks for you to choose from based on your needs. From masks that have been designed with beautiful colors to fit female consumers to lightweight masks with lots of features, we’ll make sure you find one that is comfortable and affordable for you. We stock a wide range of CPAP accessories including luggage tags, travel charger adapters, cleaning systems and mask pillows. These accessories are very beneficial to CPAP users. From the tags which help to indicate usage of the medical device when travelling to cleaning tools that will protect the equipment and ensure it lasts longer, we have it all. We’ll help you select the best CPAP accessories based on your needs and lifestyle. PROFMed Healthcare Solutions offers a wide range of CPAP battery packs depending on your needs and budget. We make travelling with your CPAP equipment more convenient than ever. Our battery packs are designed to power the machine including your other electrical devices such as mobile phone and lighting that you may require when travelling. Whatever your needs are when it comes to CPAP battery packs, we will be happy to fulfill them. We have worked with patients who have shown significant improvements after CPAP therapy. Our professionals will help you avoid common mistakes in CPAP treatment such as poorly fitting masks that can cause discomfort and soreness. We will ensure that your treatment journey is beneficial and a great experience for you. Talk to us today. For more details and pricing about our sleep products please contact our office at 416 876 2544.